and the service site www.babyenglish.gift. 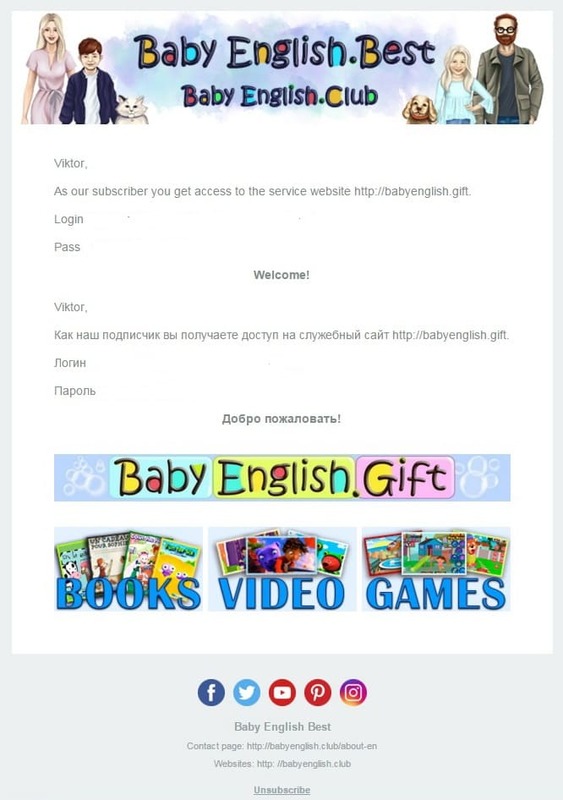 Access to the official website BabyEnglish.Gift: books, videos, games. Sounded books for children of different ages in English. Video books. You can write to the flash drive and watch on the TV. Selection of training programs and various materials for learning English by children. do not forget to check your mailbox and confirm the subscription. Baby English Best strictly keeps the anti-spam policy. 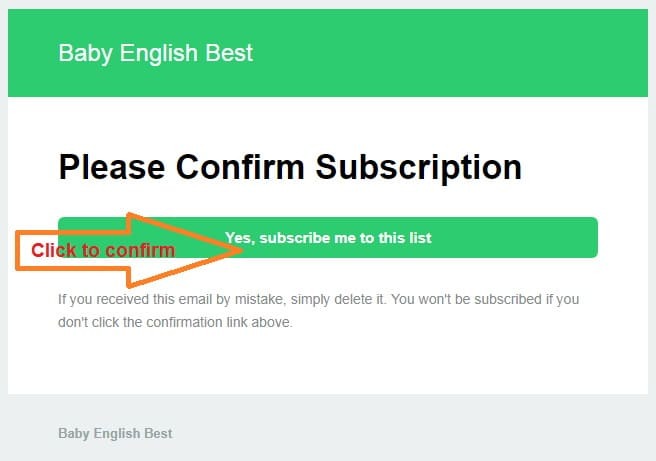 You will receive email from us after your subscription confirmation only. You will be able to delete your email from our list in any time by one click. After your confirmation you will receive letter with login and pass within 1-10 min.